Catch 'n Release Day Results in Lunker Laker Not Thrown Back! 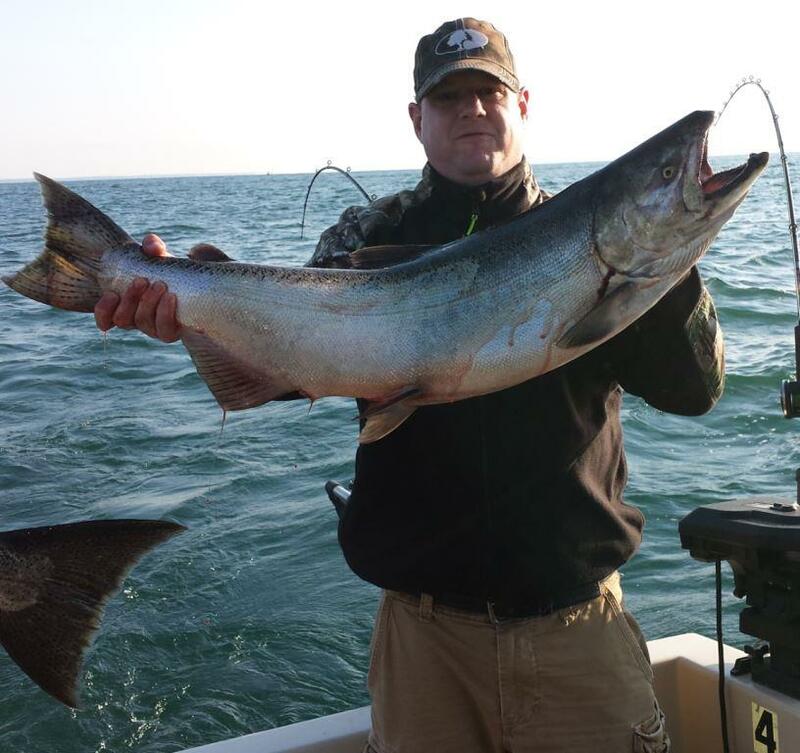 Saturday's July 15th charter with the Dave Marsteller family was not the most pleasant day for fishing with the waves on Lake Ontario building. But Dave, Jen and their children, Louis and Hannah, toughed it out and did have fun catching and releasing Lake Trout. The day really got better for them when Jen landed a 18 pound Lake Trout and entered it in the LOC 2017 Summer Derby and it placed 11th in the Lake Trout division (as of this writing on 7/16) weighing in at 18.11 pounds! We wish Jen luck in the derby standings and hope that her catch remains in the top 20 by the end of the derby! Great job, Jen! Saturday's July 15th charter with the Dave Marsteller family was not the most pleasant day for fishing with the waves on Lake Ontario building. 3 Boat Corporate Charters Results in Lots of Fish and Lots of Good Eating! On July 14th the Milky Way ran a 3 boat ag-related corporate charter out for a day fishing on Lake Ontario.